Our Live Sports Centre for Soccer, Basketball, Tennis, Handball and Darts entertains your customers with comprehensive and in-depth live content for all top leagues and tournaments, including over 70 soccer competitions. 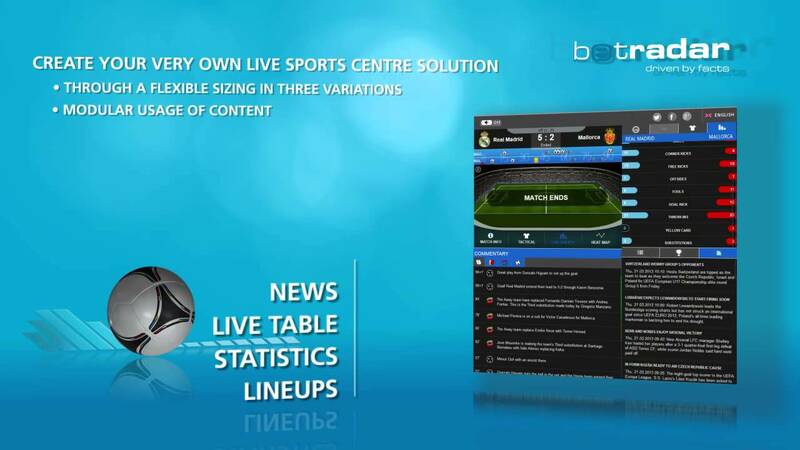 From fixtures, lineups, team- and player statistics to goals, points, cards, fouls and live tables, with its multi-match monitoring and entertaining features, the new Live Sports Centre truly boosts your website’s attractiveness. Thanks to its flexible and responsive design, Betradar’s Live Sports Centre can be perfectly customised and covers multiple media devices.